This morning’s earthquake was a magnitude-4.4 that struck east of Blue Lake, according to the USGS. 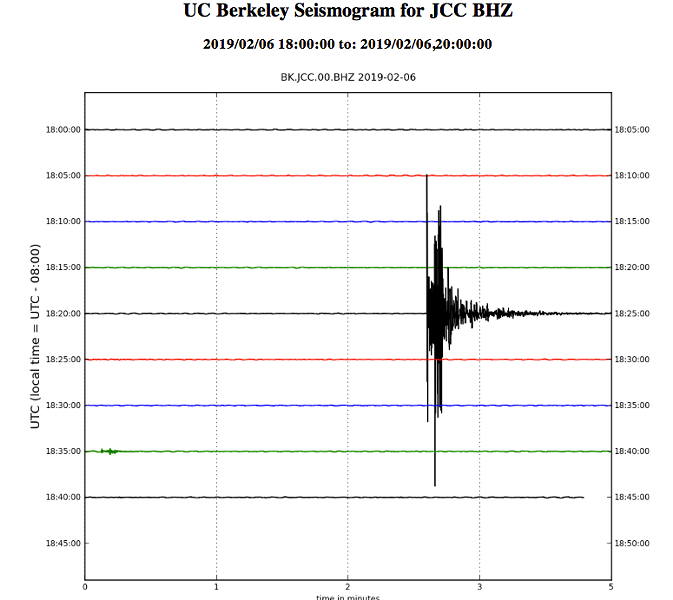 The 10:23 a.m. temblor follows a swarm of quakes that have hit off the coast since Friday while two more unrelated seismic events occurred in Cutten on Monday. The largest of the swarm was a magnitude-4.5 that hit on Saturday. 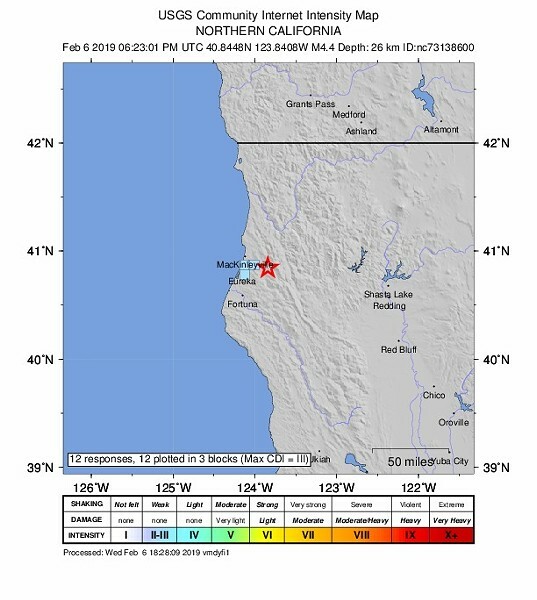 According to the Redwood Coast Tsunami Work Group, the location of today's quake "puts it within the subducted Gorda plate." A magnitude-2.6 quake in the same area followed 12 minutes later.